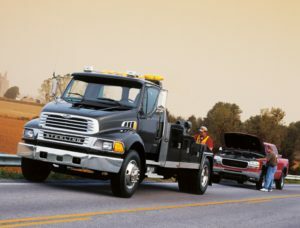 Get roadside assistance from KentTowingService.com. There’s a plethora of reasons that one might require roadside vehicular assistance – and whatever your reason is, you can trust that when you contact the team at Kent Towing Service, you will be receiving the highest standard and quality of roadside assistance in the entire game. Your safety is always our primary concern. Our mobile towing units are fit with the latest and greatest towing technology to ensure that our team can arrive directly at your location to instantly provide you roadside assistance, regardless of what issue your vehicle is experiencing. So whether your tires are flat or your transmitter is shot, simply contact Kent Towing Service for instant, on the spot solutions that are always priced at a fair, competitive, flat rate. At Kent Towing Service, the safety of our customers is our number one priority. All of our roadside recovery and assistance services are performed by technicians and tow truck drivers with the highest level of training and field experience. You should consider us your one stop source for every possible towing need – we’re available 24/7, and can always be counted on whenever your car or vehicle fails. Our response times and service courtesy is unparalleled – simply contact us for all of your vehicular needs.